Everything is so much more fun when it’s mini! From the mini world in Mario Brothers to Micro Machines, I’ve always preferred tininess. With cookies, it just gives me the illusion that I can consume several hundred–which is like a heavenly dream come true. So, after perfecting the best French macaron recipe, we made mini French macarons, and they are so much fun. 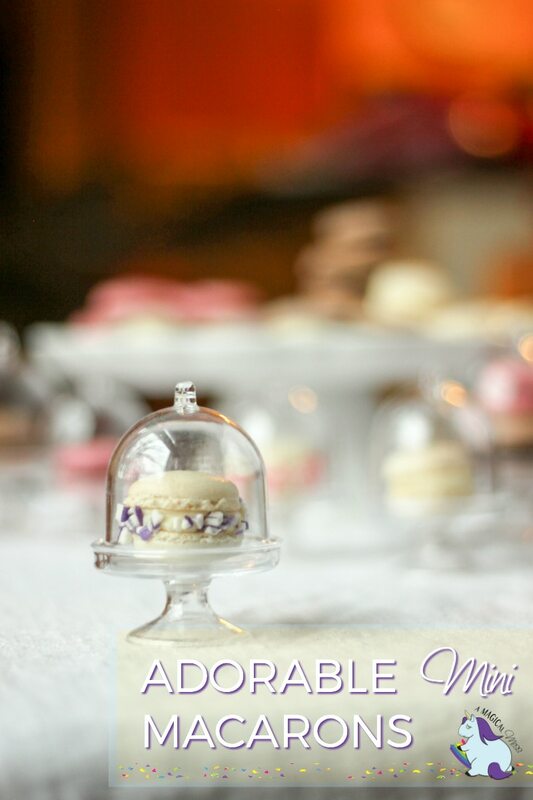 They look adorable displayed in mini cake stands and make the perfect table setting for any occasion. Obviously, not much changes when you just shrink the cookies. The recipe is the same, but the technique is a bit different. 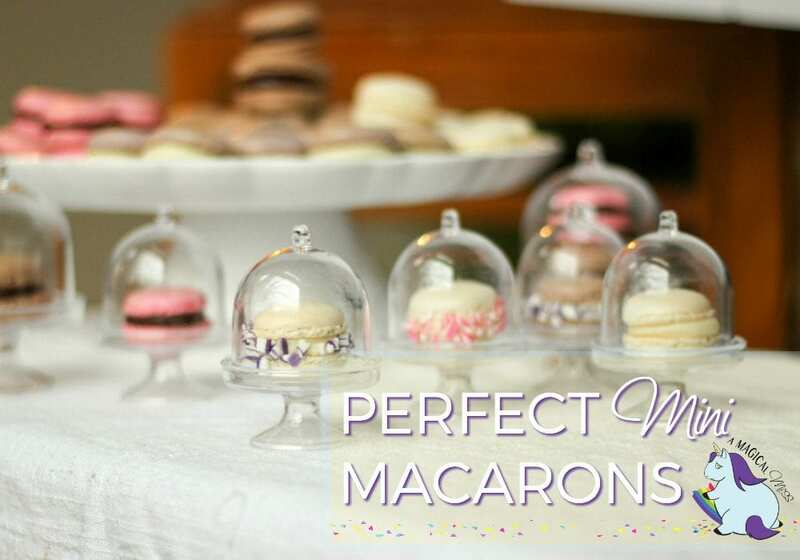 Find the best French macaron recipe at that link above. 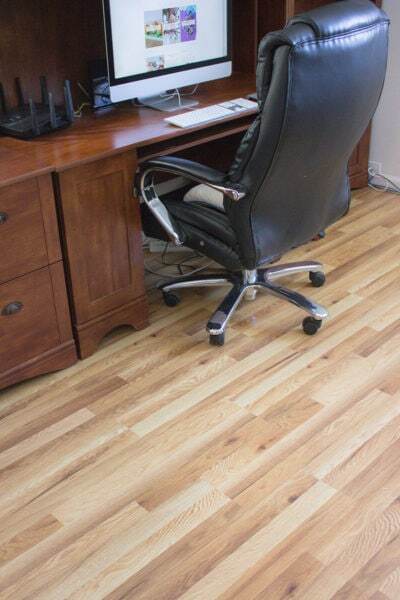 You’ll need a new template for your shells. You can decide just how small you’d like to make them. We used the bottom of the mini acrylic cake stand to trace our circles because we wanted to make sure the mini French macarons would fit. The only other change is the baking time. You’ll still want to vent the oven after 5 minutes, but then reduce the remaining baking time to about 5-6 minutes. For the first batch, you should watch your shells carefully and remove when they have slightly golden edges. 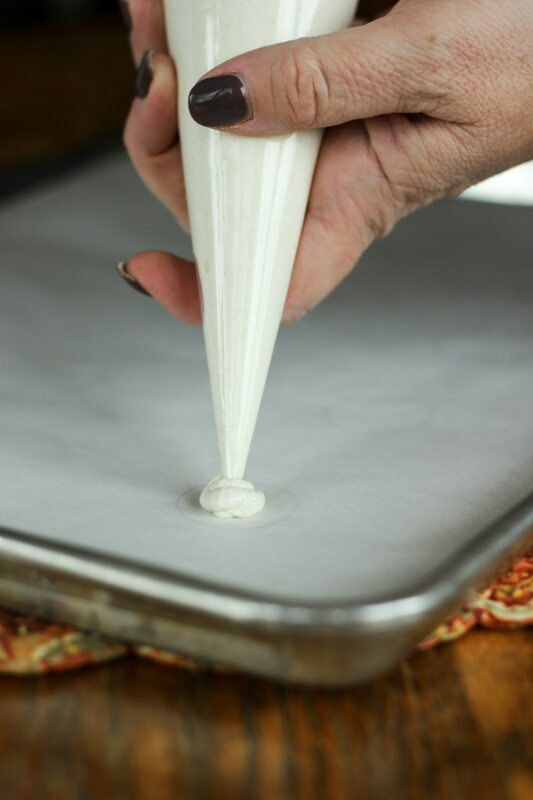 If they’re sticking to the parchment paper after baking, increase baking time by a minute or two. Don’t forget to try the double chocolate French macaron recipe too so you can have the two tone effect with extra flavor variety. You’ll want to start with these chocolate ganache recipes. They are so easily tweak-able. Add whatever extracts and food colorings you desire. Then roll in anything from sprinkles and edible glitter to broken candy pieces or shaved coconut. 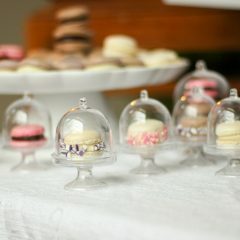 Anything you add will only make them prettier while on display in these precious little cake stands. 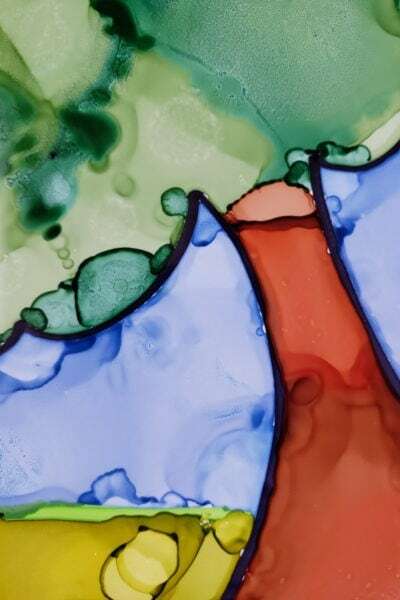 These are ideal for baby or bridal showers, weddings, or fancy birthday parties. These mini macarons make me feel like a tea party is in order. Like a fancy garden party where everyone dresses up, eats tiny sandwiches, and drinks tea from super classy cups. 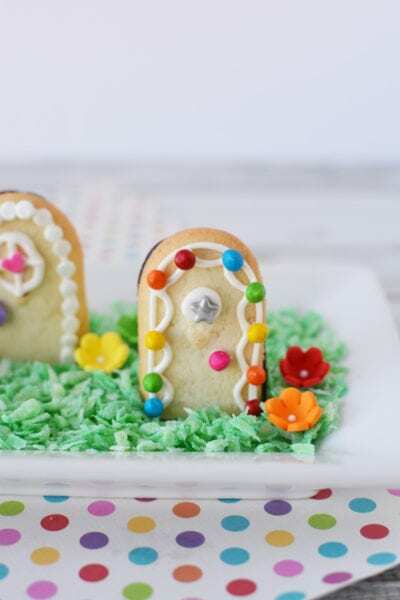 Using a larger cake stand or elegant platter allows you to stagger the height of your beautiful gluten free cookies and the result is excellent for the visual composition. Any occasion with this sweets table is sure to be a success. 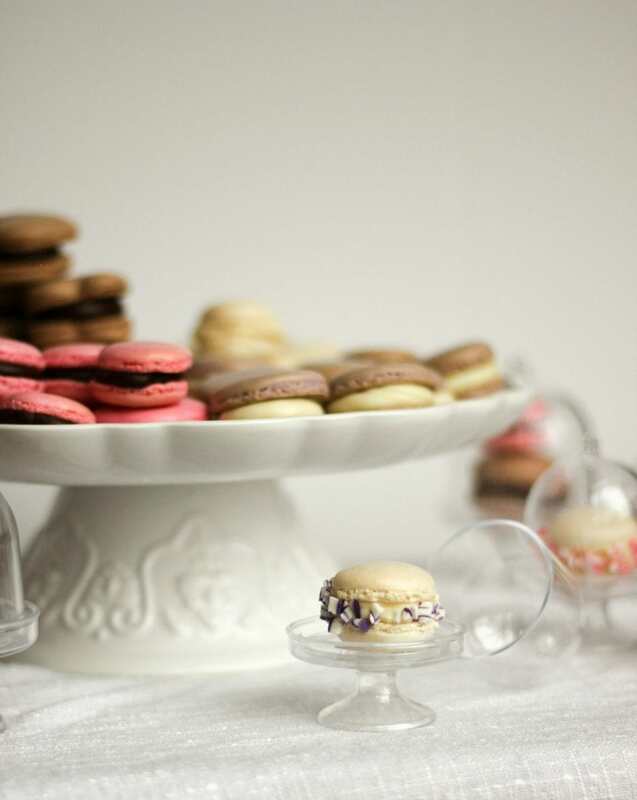 These mini French macarons are gorgeous little treats perfect for any event. Coconut and/or vanilla extract only flavor filling NOT shells! See blog post for directions. Nutrition facts do not include ganache filling. Please see blog post for complete instructions. If you like this recipe please share it with your friends and family. 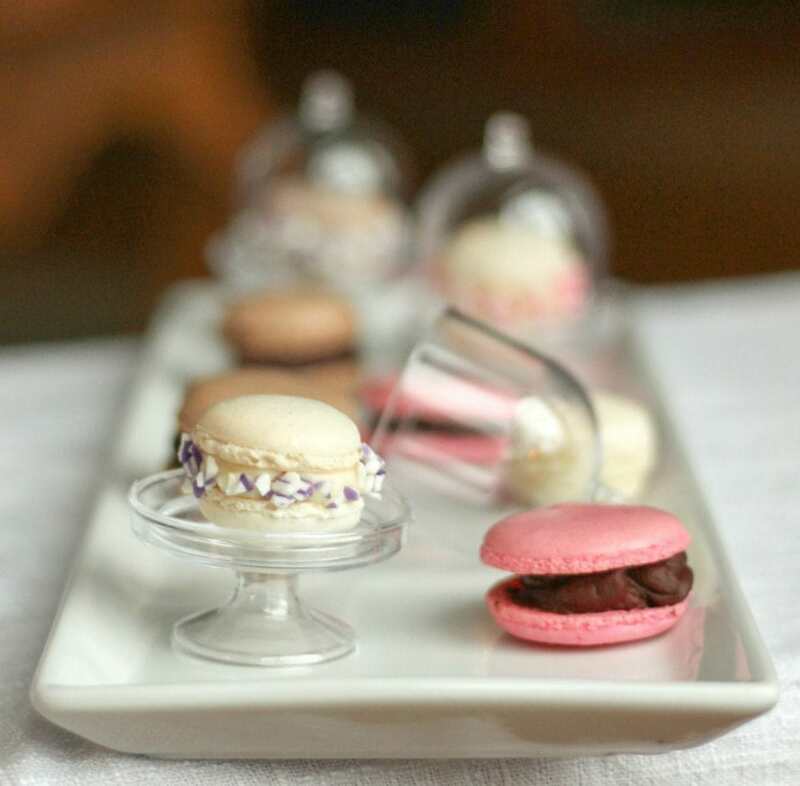 Also, for more recipes like this mini macarons one, please subscribe to our newsletter. 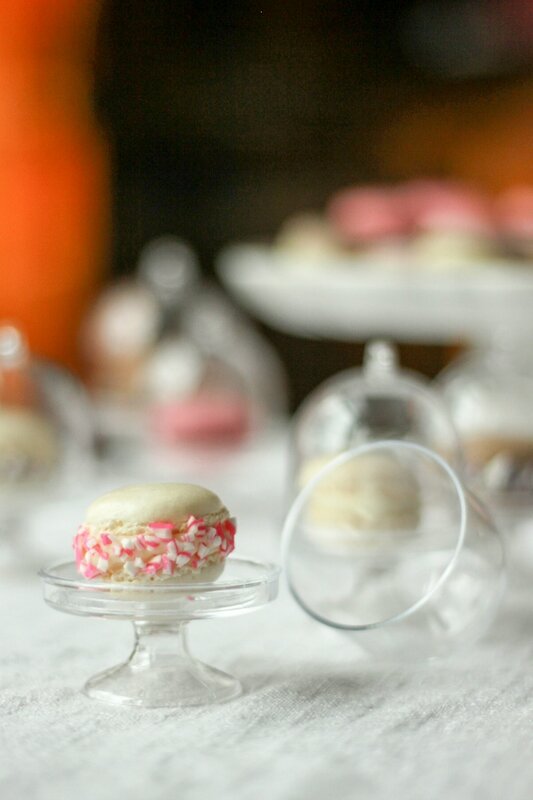 Have you ever made mini French macarons? These look really cute and yummy! I am going to pin them for our next party. Thank you! They are definitely very cute and probably taste pretty good too. I don’t think I have ever seen such a tiny cake plate. Macroons are our favorite cookie. 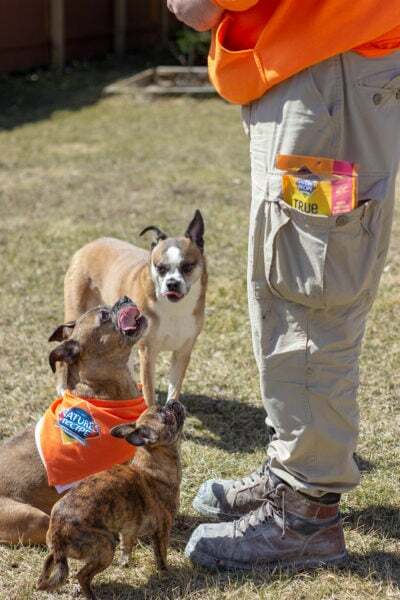 We absolutely love them. These are beyond cute. I love how they are so small and dainty and fancy looking. They would be perfect for my daughters birthday party in July. 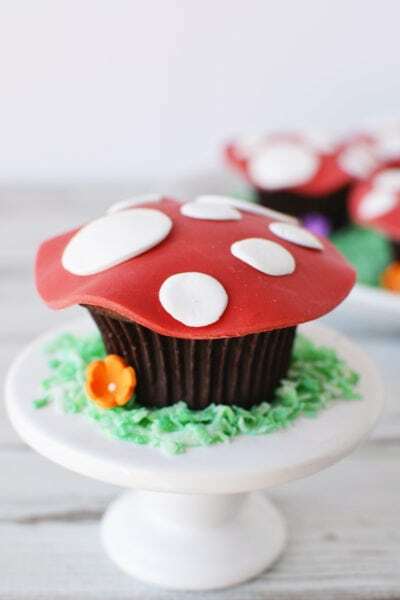 My daughter would love me to learn how to make these! She loves them. I might have to give it a try this summer! I love macarons to begin with. They are so light and delicious. I would TRY not to eat a million of these but they are just too cute! I haven’t had macarons in what seems like forever. I love these! I would love to try a macaron someday, but these are too pretty to eat! These look amazing and food is so hard to photograph! Well done! 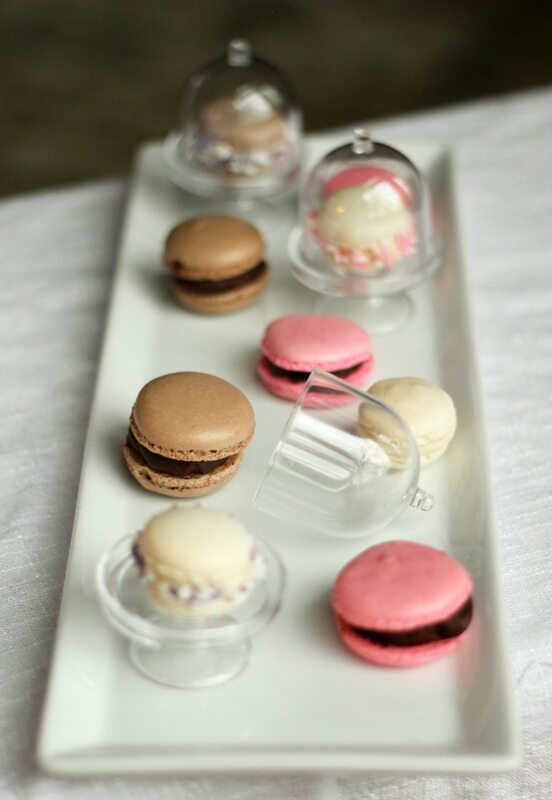 These Mini French Macarons are absolutely adorable and look so tasty. 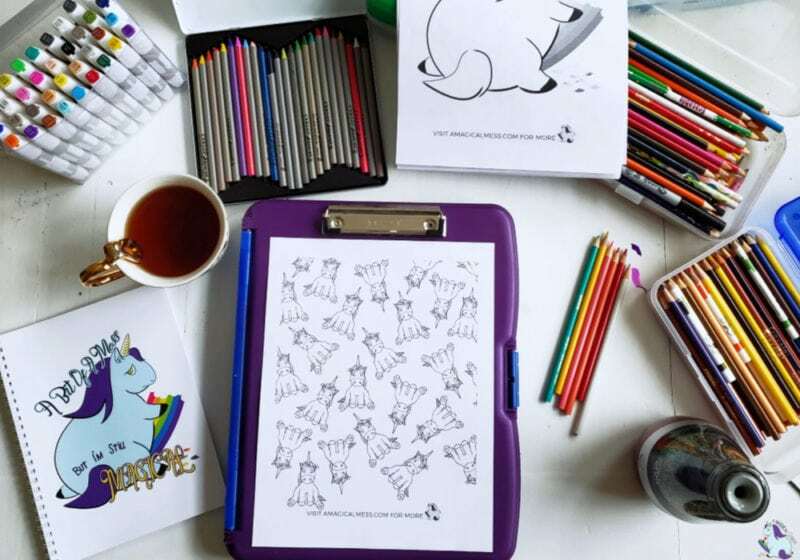 I would have fun making them with my daughter. Those are cute little desserts. Much more work than I want. If I could eat my computer screen I would have. I have always wanted to make these but too afraid.